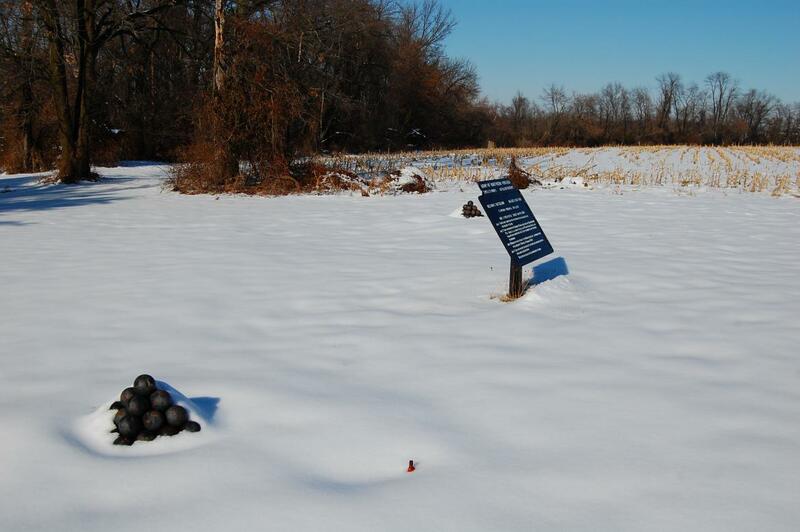 A stack of artillery cannon balls on Benner’s Hill. 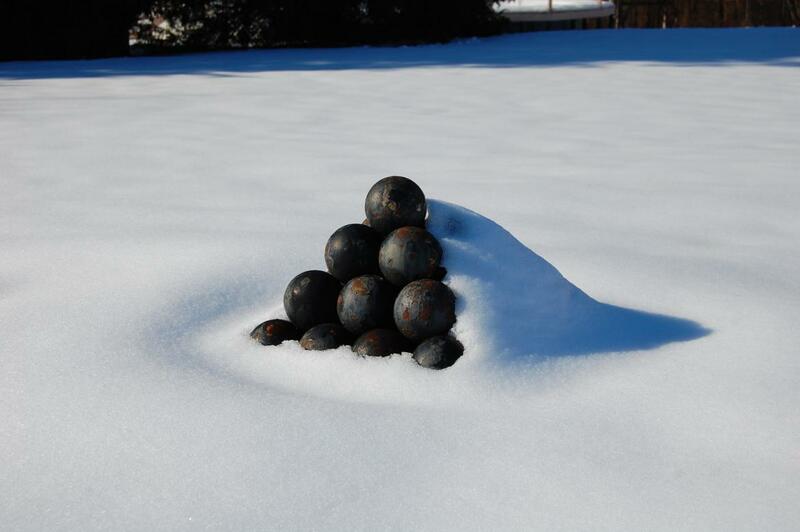 The cannon balls are hollow and supported by a metal rod. This view was taken facing northwest at approximately 2:40 PM on Wednesday, February 2, 2011. 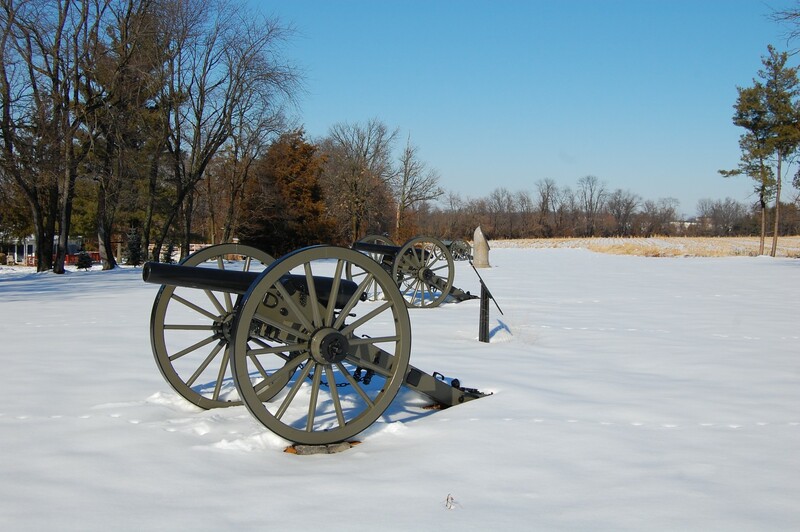 In April of 2009 we covered Benner’s Hill with Licensed Battlefield Guide Tony Delacey. At the time, the pieces on the often unvisited north side of the Hanover Road were in the cannon shop. 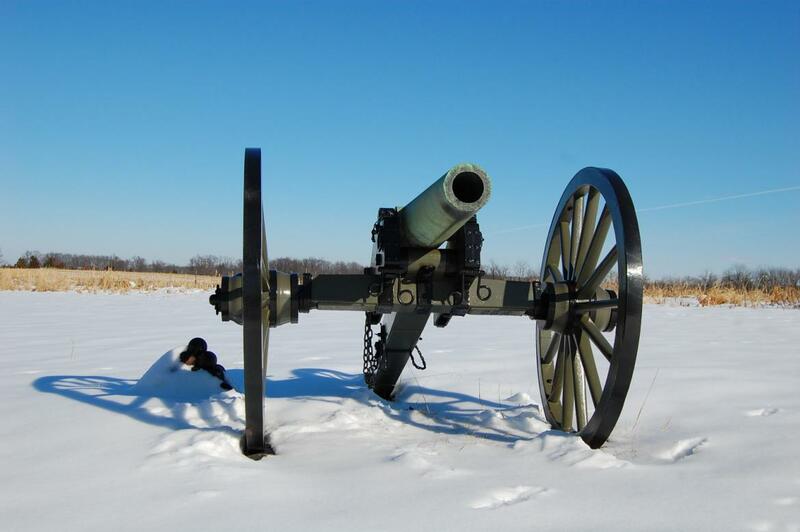 Today we’ll show you these cannon returned to the field. We are looking down Latimer Avenue towards Culp’s Hill on the main section of Benner’s Hill. 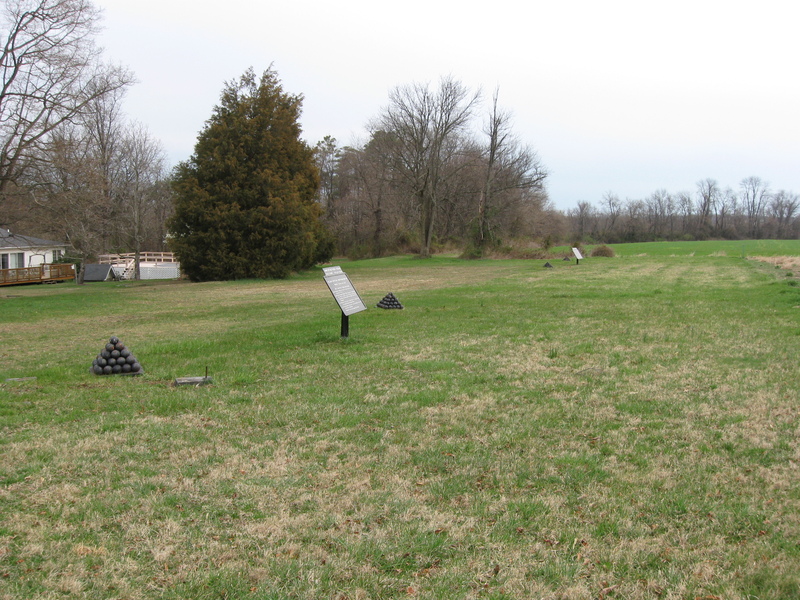 The Culp’s Hill observation tower is barely visible in the right background. This view was taken facing southwest at approximately 2:40 PM on Wednesday, February 2, 2011. We have turned around and will now cross the Hanover Road. 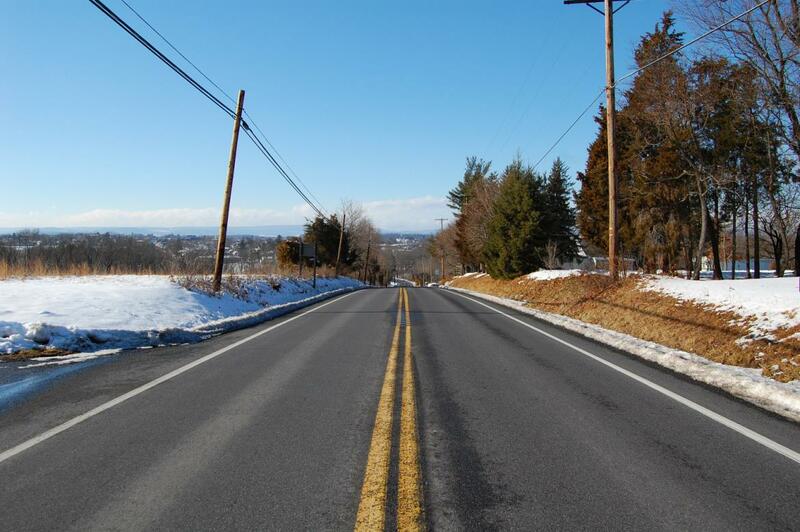 We are looking towards the town of Gettysburg. This view was taken facing northwest at approximately 2:40 PM on Wednesday, February 2, 2011. Just across the street are the four artillery pieces which have been returned to their positions. This view was taken facing north at approximately 2:40 PM on Wednesday, February 2, 2011. 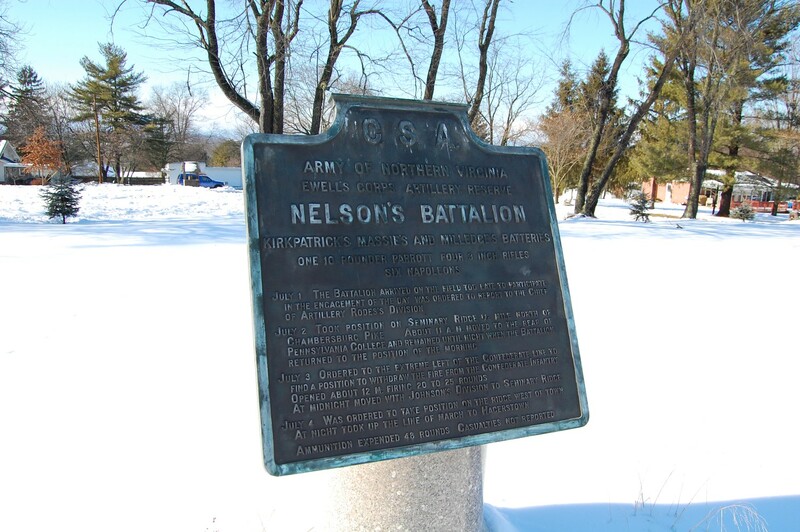 The plaques/markers here are all to Nelson’s Battalion of Ewell’s Corps. This view was facing north at approximately 2:40 PM on Wednesday, February 2, 2011. 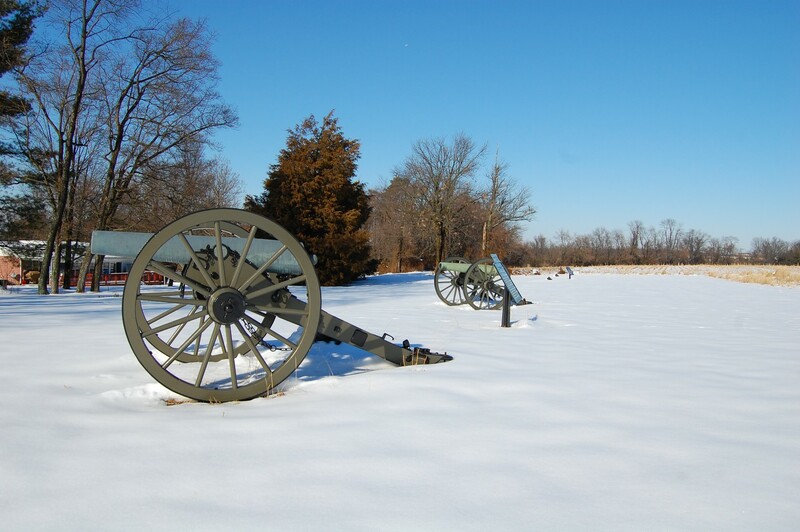 The first set of guns is to Milledge’s Battery, the “Georgia Artillery.” This view was facing north at approximately 2:40 PM on Wednesday, February 2, 2011. 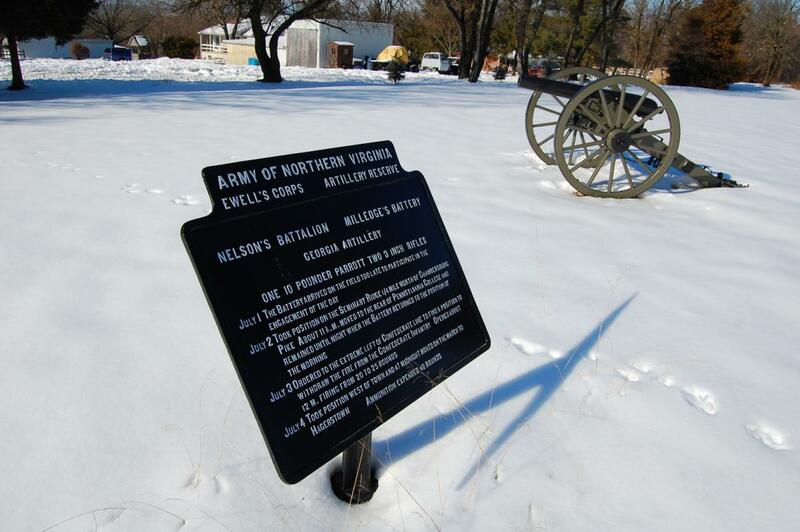 After the first set of guns is the marker to Nelson’s Battalion. This view was taken facing northwest at approximately 2:40 PM on Wednesday, February 2, 2011. 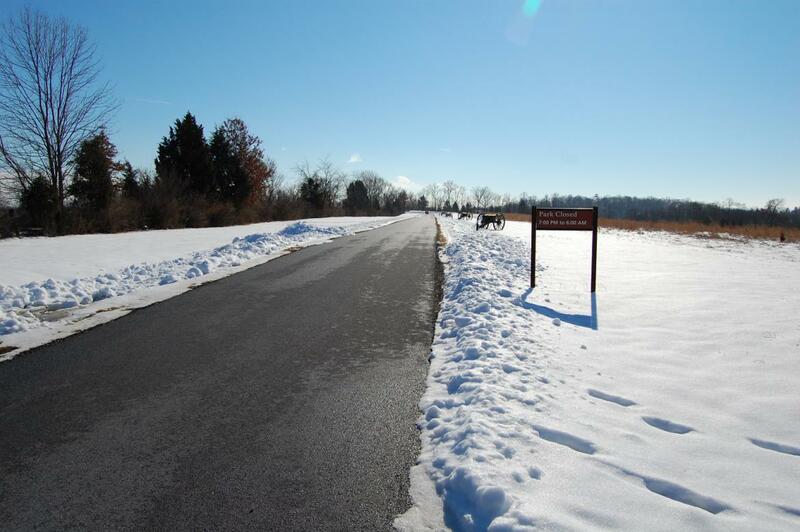 We are now looking back towards the Hanover Road and the Culp’s Hill observation tower. This view was taken facing southwest at approximately 2:40 PM on Wednesday, February 2, 2011. Here is what this area looked like almost two years ago… This view was taken facing north at approximately 9:00 AM on Friday, April 10, 2009. 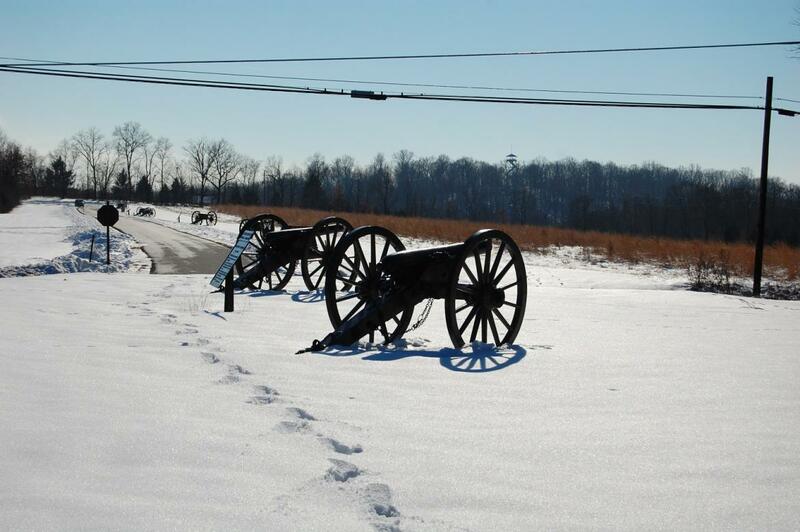 … Today, at least one of the last two batteries represented in this position have had their cannon returned. 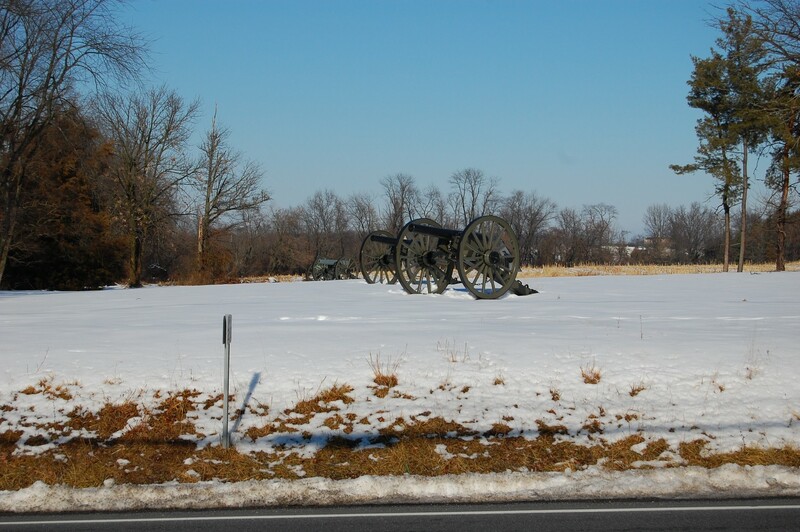 The two guns pictured here are to Kirkpatrick’s Battery, the “Amherst Virginia Artillery.” This view was taken facing north at approximately 2:40 PM on Wednesday, February 2, 2011. This view was taken facing north at approximately 2:40 PM on Wednesday, February 2, 2011. This view was taken facing northeast at approximately 2:40 PM on Wednesday, February 2, 2011. 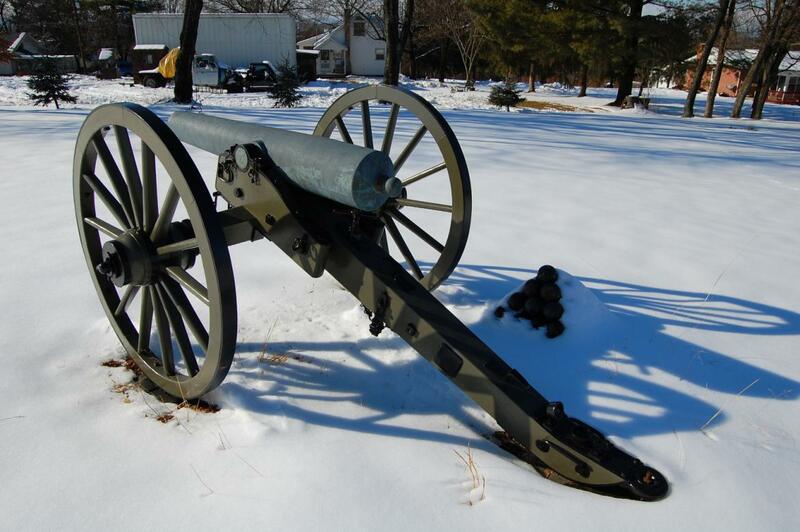 Massie’s Battery (the “Fluvanna Virginia Artillery”) is still missing its guns. This view was taken facing north at approximately 2:40 PM on Wednesday, February 2, 2011.